Wi-Fi « Global Market Insights, Inc.
With evolving emphasis on location-based marketing in retail space, geofencing market has indeed gained a widespread recognition in the mainstream tech cosmos. Over the recent years, it has been observed that the share battle between online and offline business platforms is intensifying. As a result, bricks and mortar giants have been increasingly looking for ways to implement e-commerce alternatives, the fundamental factor that has impelled geofencing industry share. Quite comprehensible from the terminology, geofencing is a service that, via an app utilizes RFID or GPS technology to increase the virtual boundary around a particular geographic location. Apparently, the technology is being extensively deployed in retail stores nowadays in an attempt to enhance in-store consumer experience. In fact, on grounds of its far-reaching acclaim, numerous tech behemoths have been trying their hands with the technology in recent years, attempting to bring forth a slew of innovative applications in geofencing market. American Eagle, one of the renowned clothing and accessories retailers, in the year before last, launched a groundbreaking reward scheme for its customers to encourage purchase. Reportedly, the U.S. headquartered company has utilized geofencing technology to create this app, which in a way is pushing consumers to add more items in their shopping carts to see what they can receive in return. Since the strategy compels the users to at least consider the items that might be otherwise left on the rail, the probability of more purchases undoubtedly increases. This absolutely innovative strategy applied by the American retail giant grabbed the headlines back then and has been stamped as a benchmark in geofencing market growth. 2016 has indeed been a breakthrough year for geofencing market, with leading food giants striving hard to exploit the potentialities of this technology in their business model. McDonalds, for instance, had started incorporating geofencing service in its mobile app for optimizing the food preparation time. Sources claim, the fast food giant’s decision of implementing this app comes in the wake up of long wait queues in front of McDonalds outlet and amidst the chances of receiving cold food. The geofencing based app designed by the company aptly detects when the customer gets closer to the counter and simultaneously alerts the staff to start preparing the order. Needless to mention, growing deployment of these kinds of innovative technologies have enhanced instore consumer experience, which by extension has stimulated geofencing market expansion. 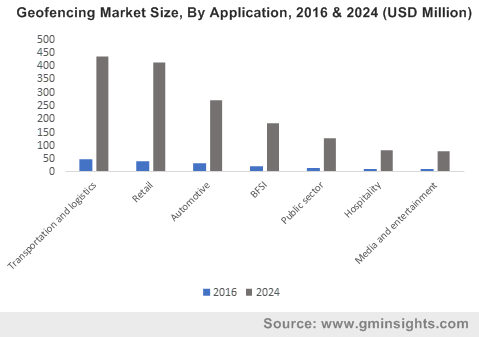 The application matrix of geofencing industry is not just replete with retail domain, though it is undeniable this sector is a lucrative growth avenue for the entire business space. Besides, retail space, geofencing market share stands to gain much from security and defense applications. Numerous companies participating in the business space have been creating a whole hog to bring about significant advancements in the capabilities of this solution with enhanced integration and accuracy functionalities. In this regard, China has recently made it to the headlines with the announcement of its decision of integrating geo-fencing based facial recognition system for security and surveillance in Xinjiang. Reportedly, these geofencing tools alert authorities when targeted people venture 300 meters beyond the designated safe area zone. These kinds of appreciable efforts undertaken by tech giants and governmental bodies toward promoting geofencing technology is certain to bring forth a plethora of opportunities for geofencing industry participants in the coming years. Validating the declaration is the estimate by Global Market Insights, Inc. that forecasts the global geofencing market to surpass a valuation of USD 1.7 billion by 2024. This entry was posted in Sustainable & Smart Technologies and tagged Advertising, API Management, Asset Management, Asset Monitoring, Cellular Network, Competitor Tracking Solutions, Consulting, Drone Management Solutions, Fixed, Fleet Management, Geofencing Market, Geofencing Market Research, Geofencing Market Size, GPS, Managed Services, Mobile, Promotion, RFID, Training and Maintenance Services, Wi-Fi, Workforce Management. The fact that smart luggage is now a buzzword for the tech-savvy traveler legitimizes the massive commercialization matrix of smart luggage market. A prime factor that has augmented the popularity of this product is the substantial rise in the number of air travelers that has led to strict security compliance at airports. Furthermore, there has been an increase in the cases of baggage theft and luggage damage during travel lately, which has pushed the demand for connected suitcases and bags, thereby stimulating smart luggage industry share. The escalating penetration of IoT in the baggage fraternity has prompted manufacturers to include smart features such as remote locking system, Wi-Fi spots, GPS, Automatic built-in weighing, Bluetooth, USB chargers, built-in batteries, and SIM cards in luggage. 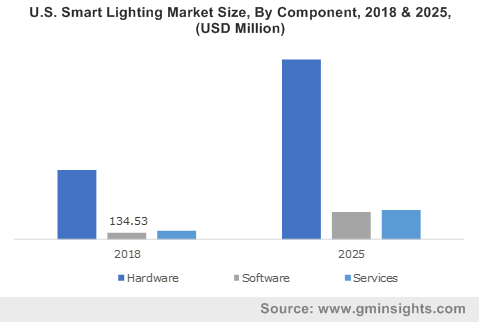 Say for instance, Bluesmart, a key manufacturer of smart products for travel industry, recently introduced second generation technology referred to as Series 2 in its product line. The new smartphone-controlled locking & site tracking system is expected to lessen the trouble for passengers and airport officials during baggage check-ins. The concept of zipper-less baggage has been gaining traction in smart luggage industry. For instance, Trunkster, a U.S. based baggage startup has recently introduced smart zipper-less luggage – a self-weighing waterproof suitcase comprising sliding doors, offering secured as well as easy access to the luggage contents as compared to the zipped ones. Further on, Delsey, a France smart luggage market player is developing a unique fingerprint ID endowed with numerous features – it automatically locks and unlocks bags, is capable of checking the mobile application of the end-user to verify that the bag is actually locked, and provides a notification to the user during bag transit. The aforementioned instances testify that the launch of state-of-the-art technologies is thus likely to transform smart luggage market trends. Smart luggage technologies are deployed to implement digital scaling, real-time tracking, remote locking systems, and proximity sensing devices. Real-time tracking technology, for instance, is heavily utilized in airports in cases of baggage loss. Luggage thefts and security violations have changed traveler preferences rapidly, enabling them to invest in smart luggage equipped with remote locking systems & proximity sensing devices. Furthermore, manufacturers have been focusing on preventing any kind of inconvenience to the traveler due to overweight baggage, which has resulted in the production of digital scaling systems. The development of unique smart technologies to be incorporated in suitcases and bags is thus certain to augment smart luggage market size. Speaking in the terms of geographical aspects, the product has been increasingly penetrating the APAC zone, given the growing frequency of air travel, subject to increasing consumer disposable incomes and the subsequent rise in their purchase parity of consumers. The robust surge in the demand for smart luggage foe security and comfort will thus generate a profitable growth map for Asia Pacific smart luggage industry. Countries such as Singapore, India, Thailand, China, and Malaysia being prime tourist destinations will, further contribute toward the revenue generation of this regional market. North America, being one of the hubs of smart technology, is a profitable growth avenue for smart luggage market. 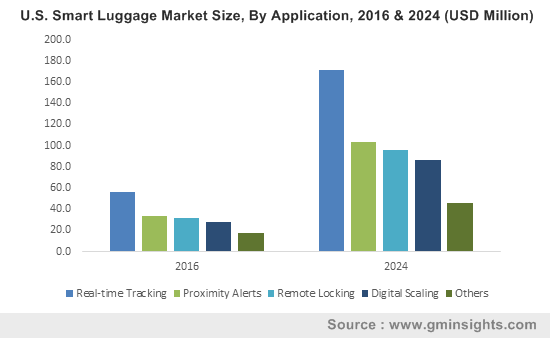 The large-scale deployment of connected baggage has prompted companies to brainstorm and develop innovative products, which would considerably impel North America smart luggage industry. In fact, estimates claim North America to account for a rather huge share in smart luggage market. This entry was posted in Sustainable & Smart Technologies and tagged Bluetooth, Digital Scaling, GPS, Proximity Sensors, Real-Time Tracking, Remote Locking, RFID, Sensors, SIM Cards, Smart Luggage Market, Smart Luggage Market Analysis, Smart Luggage Market Growth, Smart Luggage Market Share, Smart Luggage Market Size, Smart Luggage Market Trends, USB Charging, Wi-Fi.